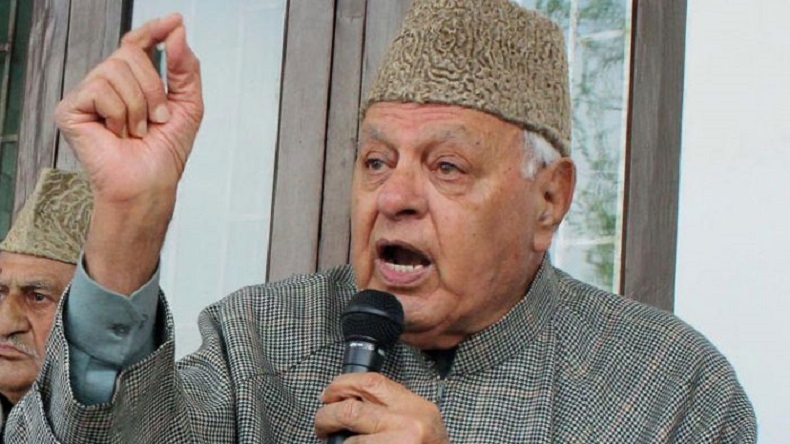 Former Jammu and Kashmir Chief Minister Farooq Abdullah on Wednesday said his party National Conference will not participate in upcoming local body polls. The statement by National Conference leader comes in the wake of protests against the legal challenge to Article 35A, which grants special status to Jammu and Kashmir residents. Jammu and Kashmir National Conference will not participate in upcoming panchayat elections, said former state Chief Minister Farooq Abdullah on Wednesday, adding that unless and until the Government of India clears its position on Article 35A. The National Conference leader further demanded that BJP-led NDA government should take effective steps for the protection of Article 35 A in and outside the court. However, some media reports have claimed that the National Conference is unable to get candidates for polls. The statement by National Conference leader comes in the wake of widespread protests against the legal challenge to Article 35 A of Constitution, which grants special status to Jammu and Kashmir residents. The protests have been called by separatists leaders, to which business fraternity and civil society organisations have lent support. Earlier, Mehbooba Mufti’s Jammu and Kashmir Peoples Democratic Party had criticised the Assistant Solicitor General’s stand-in the Supreme Court. It comes days after the Supreme Court adjourned Article 35A matter till January 2019 the second week after a request from the Jammu and Kashmir Government to adjourn in view of preparations for Panchayat and Municipal polls in the state.